Local Decisions, World Class Service. Northeast Home Loan is a full service mortgage banker, meaning that our lending decisions are local, right here in West Chesterfield, New Hampshire. 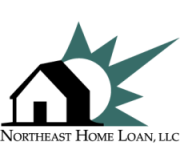 Northeast Home Loan is one of New England’s best kept secrets when it comes to wholesale mortgage banking. We don’t have national aspirations, and we don’t grow our business by adding lots of clients.